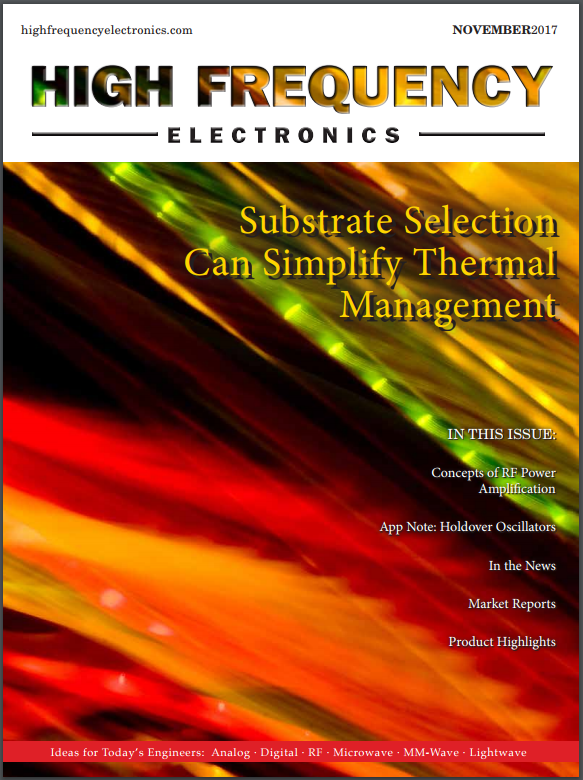 High Frequency Electronics is a magazine for engineers. In the cover article titled "Substrate Selection Can Simplify Thermal Management" in its November 2017 issue, author John Ranieri included our Energy2D software as one of the modeling tools recommended to the reader, alongside with mainstream commercial products from industry leaders such as Mentor Graphics and ANSYS. 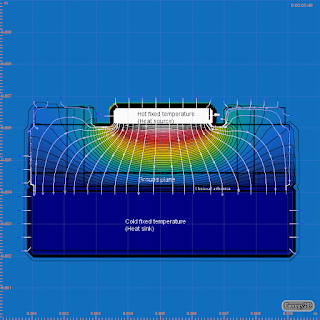 The software is also featured by Thermtest, a UK-based company that focuses on thermophysical instruments. Thermtest supplements the software with a database of standard materials, making it easier for engineers to use. According to the article, "heat haunts many RF/microwave and power electronics circuits and can limit performance and reliability. The heat generated by a circuit is a function of many factors, including input power, active device efficiencies, and losses through passive devices and transmission lines. It is often not practical to disperse heat from a circuit by convection fan-driven cooling, and heat must be removed from sensitive components and devices, by creating a thermal path to a metal enclosure or heat sink with good thermal conductivity." As a thermal simulation tool, Energy2D can certainly be very useful in helping engineers conceptualize and design such thermal paths. More importantly, Energy2D can make your engineering experience as fun as playing a sandbox game! As one of our users recently wrote, "I am working as consulting engineer and we often have to make quick estimations where a steady-state node model is too simplified and setting up a complex FEM model is overkill. Energy2D is a very handy tool for something [like] that and I like the click'n'play sandbox feeling in combination with the physical correctness. I never thought FEM could be that fun."